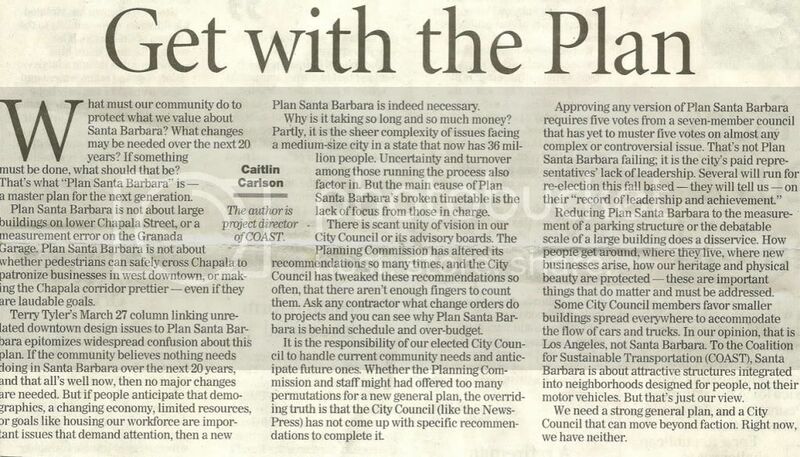 Last Sunday, April 24th, the Santa Barbara ran an op-ed piece that COAST wrote in protest of Plan Santa Barbara‘s lack of direction. Online subscribers of the News Press can click here to read it on the NP’s website. If you would like to add your own opinion to Plan Santa Barbara, and want to talk to the committee directly, click here.